Can A Pregnant Woman Use An Electronic Cigarette? Ever since e-cigarettes came onto the market, very many people from all walks of life have rushed to use these devices. The reasons for this range from the benefits, the savings that are made once one switches from ordinary to e-cigs, and so many other reasons that are well known by those that have been following this invention. At the moment there is a question regarding whether or not it is fine for a pregnant woman to use an e-cigarette. There is no straight answer so it can be a tentative yes or a big no depending on the factors that will be discussed below. Generally speaking, it is absolutely ill-advised to vape when you know you are pregnant. Even if e-cigs are said to be 99% safer than tobacco cigarettes, most e-cigs still contain nicotine and that can have harmful effects on the unborn child. The fetus is especially susceptible to chemical agents in anything that the mother takes in and that can cause a host of developmental problems. That is why as soon as a woman is sure that she is pregnant then she should immediately stop vaping, or smoking for that matter. Nicotine is addictive and that is even why tobacco smokers find it so hard to quit. As you can imagine, introducing such a substance to an unborn child can have very serious long term effects so this matter should not be taken lightly. There is, however, a small percentage of pregnant women think that they may still vape and that is on condition that they use a certain kind of e-liquid. The e-liquid talked about is the one that is nicotine-free. As long as there is no nicotine in the e-juice that a woman uses, some woman think that there is no danger in continuing to vape all through her pregnancy. This is because the contents in that e-juice should be safe for use as they are even approved for consumption in food and cosmetics that anyone can use without any worries. Propylene Glycol (PG) as well as Vegetable Glycerin (VG) and e-liquid flavourings have been around for a very long time and are widely used in a lot of domestic consumables. Always consult your doctor before making any decision that may affect your unborn child. At this point, nothing is only about you since you are carrying a baby in your womb. Everything you are considering should first be run by your doctor so that their advice informs the actions you are about to take. My personal advise is if you are pregnet, give up smoking! Remember e-cigarettes are not 100% safe and so you should exercise caution in the way you use these products. This is particularly necessary if you are pregnant or suffer from any other health complications or even when you are currently undergoing medication that may be interfered with by your vaping habits. Always seek to know all there is to know about e-cigs and that information will protect you from any pitfalls. Remember knowledge is power! My wife has been doing it for a month now. I told her that it might be not 100% safe but she told me not to worry. Should I worry? 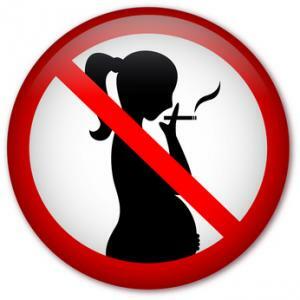 Pregent women should not smoke at all. Even e-cigarettes.